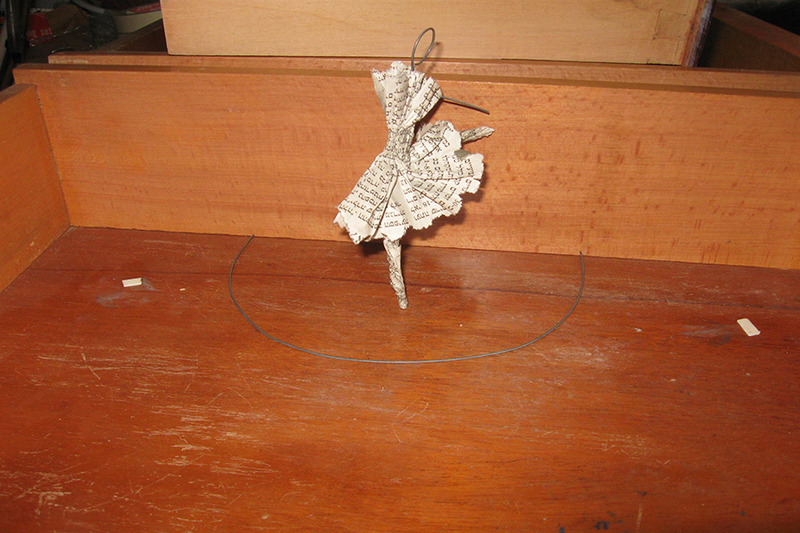 Paper dancers – movement, freeze, softness. 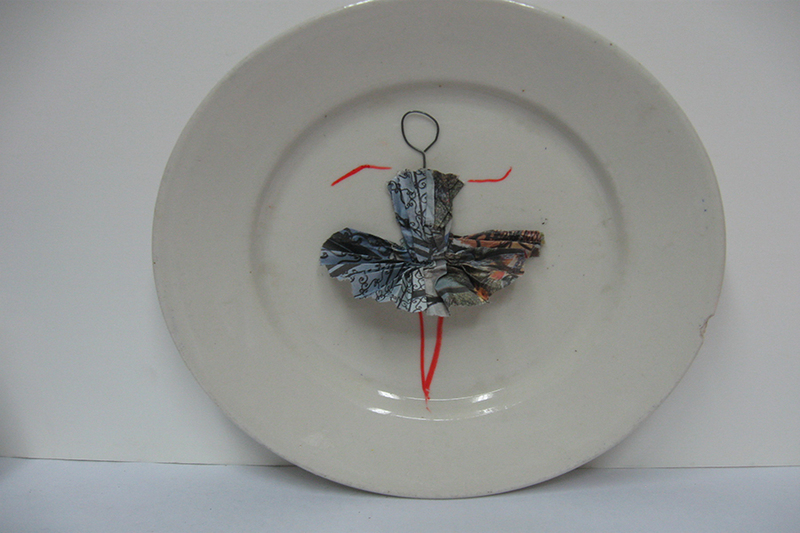 Palm sized ballerinas made out of newspapers. The newspaper, which is yesterday's news, and a map of world explorers together become a work of art and a different kind of presence. Drawer display. Newspaper, metal and wood. 7cm כל צלחת. - מתוך הסידרה: סטאטי במעגלים. 7cm each plate. From: Circular Static..